I'm still being floored by a really vile cold - it's nasty enough to have made reading a chore, and to have destroyed my interest in shopping (both indicators that I must be quite ill). Despite feeling utterly disgusting we had train tickets and plans for Saturday (it was our 11th anniversary) so armed with a lot of tissues, a packet of lockets, and a litre of orange juice, I went to London anyway. 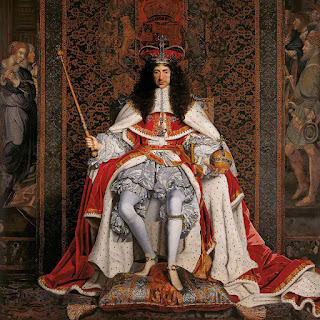 It was worth it to see the two Charles exhibitions - Charles I King and Collector, which opened at the Royal Academy on Saturday, and Charles II Art and Power at the Queens Gallery (happily just across the Green Park). Plans to find bergamots were forgotten though. I learnt from the Jasper Johns exhibition that first thing on a Saturday morning (the RA opens at 10am) is a good time to beat the crowds. 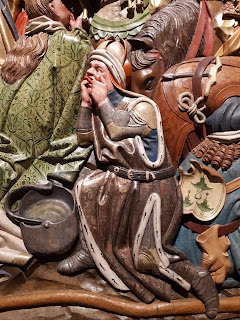 We turned up at 10 to 10, so joined a queue to get in, but it was a short one, and the crowds in the gallery were manageable (also if you keep coughing and blowing your nose loudly people will wisely avoid you). I'm grateful for this because it's a magnificent exhibition and you need a bit of space to appreciate it. It was also really good to see both exhibitions together. There are so many highlights in the Charles I show that it's hard to pick from them, but I certainly came away with a new appreciation of Van Dyck. He emerges as a real star of this show, more than holding his own against some very illustrious company, and seeing so many of his iconic images of the royal family together is powerful. I really love Holbein as well, so seeing his drawings and a couple of wonderful paintings was also a treat. D loved Mantegna's 'The Triumph of Caesar' series, which certainly have an impressive presence, as do the Mortlake tapestries, but if there was one particular picture it would have to be Rembrandt's portrait of his mother (or at least it's thought to be his mother modelling for a genre piece of an old lady) which is mesmerising. Altogether it's an almost overwhelming display which shows the breadth and quality of Charles I collecting ambitions, along with those of his Queen, Henrietta Maria. 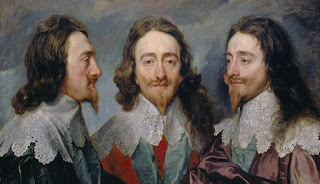 Charles II Art and Power, in the Queens gallery at Buckingham palace is a smaller show, but again, very high quality. It explains more about Charles II artistic ambitions and intentions as well. This is a man creating a show of power to bolster and confirm his position as king, drawing a line under the austerity of the interregnum, and competing with his French cousins for personal magnificence. The number (around 80) of objects from the royal collection in the Charles I show are a testament to how successful the son was in retrieving bits of his fathers collection. Much of it by simply demanding it back. He couldn't get much of what had left the country, and I feel a little bit sorry for whoever had to give back that Rembrandt, but at least when it came to art works Charles left the monarchy a tremendous legacy. Regardless of the gaps in my knowledge both exhibitions are literally dazzling both in content and breadth. 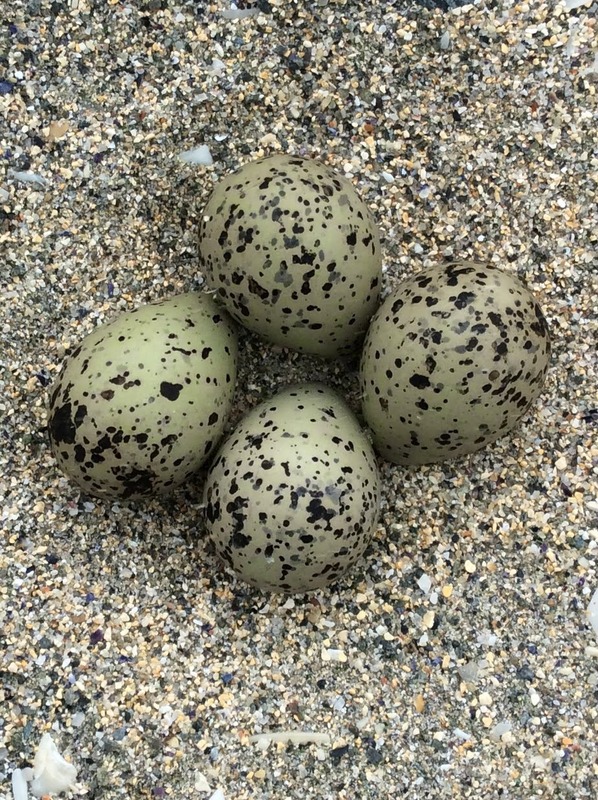 See them if you can. 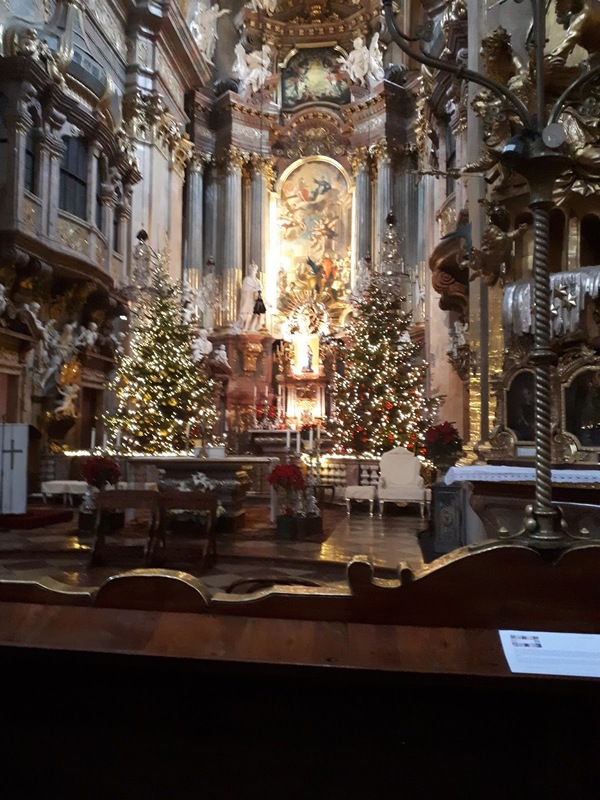 I'm back from Vienna, wgphich was wonderful, with a stinker of a cold which is not. It's been 4 hours now and my ears still won't pop back to normal, which is disconcerting, and there is the guilt at having passed on this horrible lurgy to my travelling companion- so that's back home with a bump. 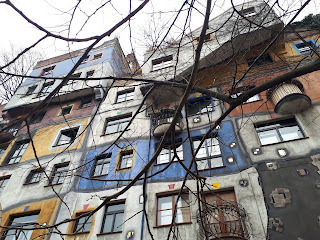 This was my first visit to Vienna, although it's somewhere I've wanted to go ever since a teenage infatuation with Gustav Klimt. We were there for 3 days which was long enough to get a feel for the place, and know I want to go back to explore all the things we didn't have time for on this trip. I like traveling in January, I don't mind the cold, or the relative dark - especially in cities, and appreciate the lack of crowds for big attractions. It's a while since I've been out the country which made this trip even more exciting. There's an element to every big city that feels familiar - the same big brands, and even the same kind of things you 'must see', but I'm always delighted by the things which are slightly different (in Ireland it's green letterboxes). 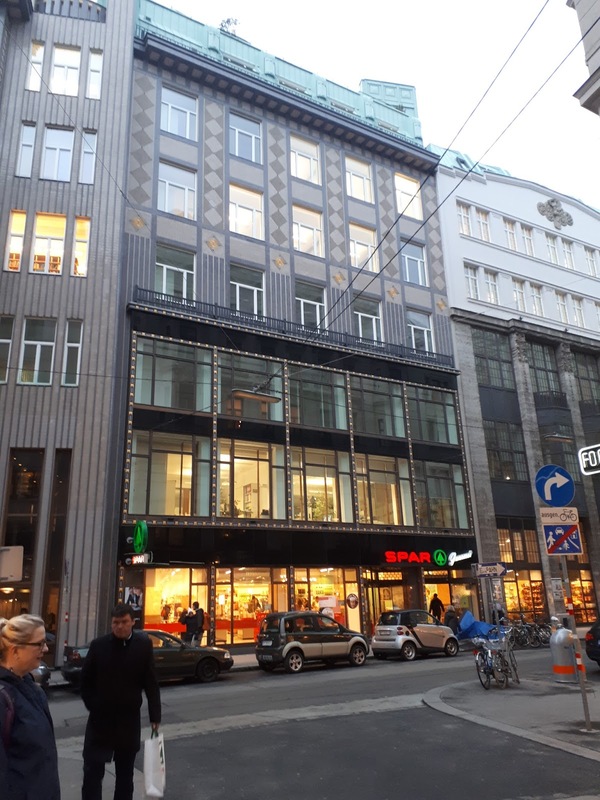 In Vienna this was Spar shops, specifically the Spar Gourmet in the corner of 'our' street. It was housed in a beautiful Art Deco building, and was like a Waitrose (but better). It was infinitely superior to the English equivalent - the ubiquitous Tesco Metro. 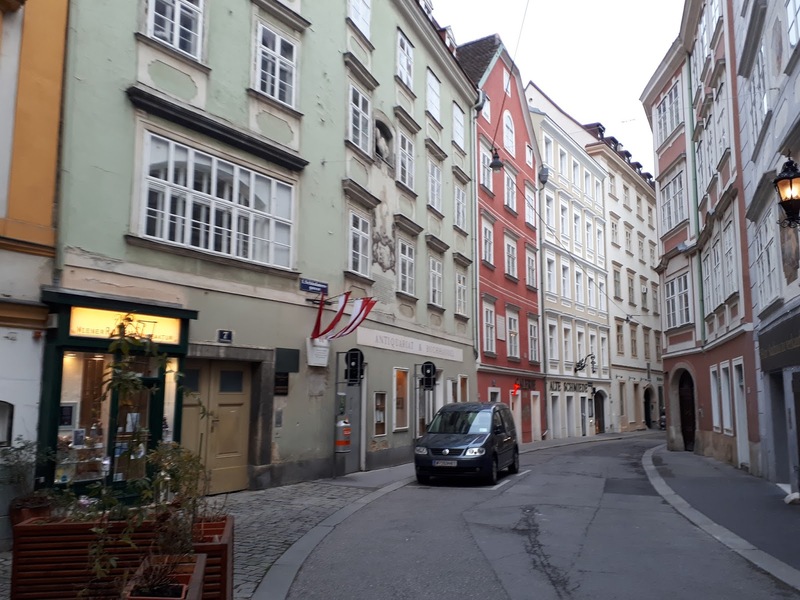 Our hotel was in the heart of the historic city centre which meant everything we wanted to see was within easy walking distance, and whilst there might have been a few more sign posts for things we coped with a map. We went to the Belvedere to see the Klimt's (though due to a re hang not many of them were on show). There was a crowd around 'The Kiss', but nobody looking at anything else in the room - and if they were, only for as long as it took to focus a camera and click, which doesn't seem like the most satisfactory way to interact with a picture. 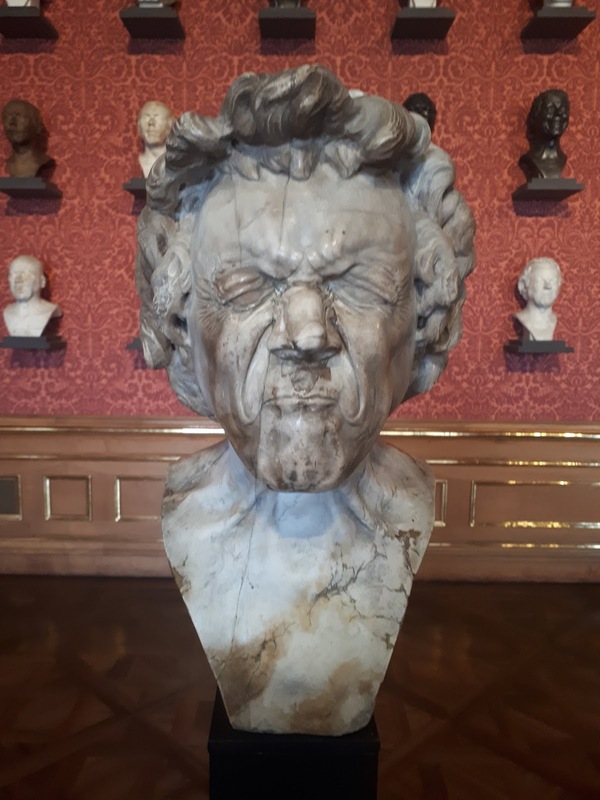 The Belvedere itself is stunning, as are its views, and it's collection of medieval art was a surprise highlight (surprise because it's not what we'd specifically gone to look at, but the details are utterly absorbing. 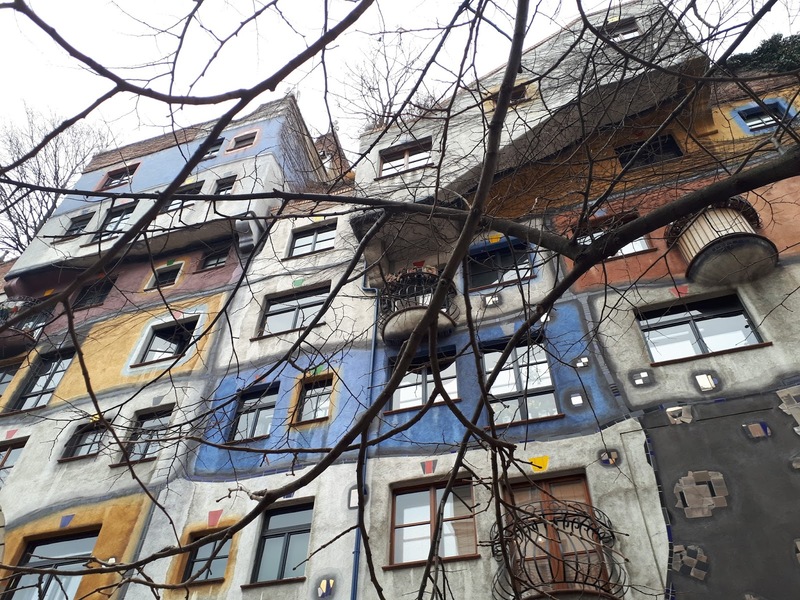 We also went to look at Hundertwasserhaus, which stands out even more for being so crazily at odds with the sensible streets around it. 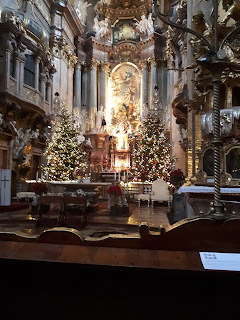 We also found time to poke around a whole lot of streets and churches - Peterskirche, a baroque jewel which only got a passing comment in our guidebooks was the most impressive in a city that doesn't lack for impressive churches. We both wanted to see the Kaisergruft; the crypt where generations of Hapsburgs are buried in incredibly ornate sarcophagi. 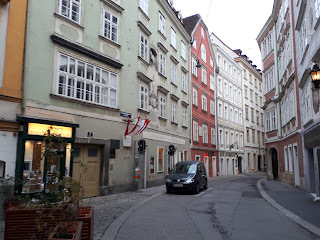 It's hard to describe the place, but it made both of us wish we had a rather better grasp of Austrian history. There was also time for quite a lot of coffee and cake, though it would take a much longer stay to do the cakes real justice. 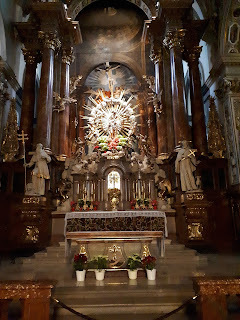 When we were booking this trip a travel agent told us Vienna isn't a very popular destination, something that surprises me even more now I've been. It was easy traveling for us, flying via Birmingham. 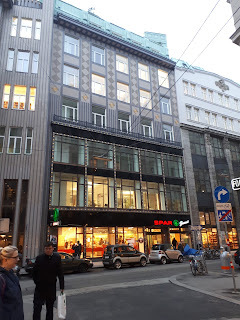 The city felt safe and friendly, it isn't stupidly expensive, there's a lot to do, as well as a lot of places to just sit and enjoy the view (which given how important cafe culture has been to Vienna is a tourist must anyway), people were friendly, and there's gourmet Spar. It's hard to imagine what else a visitor could want. After feeling generally low and washed out for what feels like weeks I've had a really good day off. The sort that starts with a solid nine hours sleep (after a week veering towards insomnia and a truly terrifying anxiety dream where I was in Shetland but couldn't buy any yarn) and the luxury of knowing you don't have to be up for any particular time. The sort of day that allows for a leisurely breakfast and where you don't feel guilty for whiling away the best part of an hour following links on twitter. A day when the paperwork I've been procrastinating over gets cleared up in minutes, and the other things I've been meaning to book or generally sort out get done too. 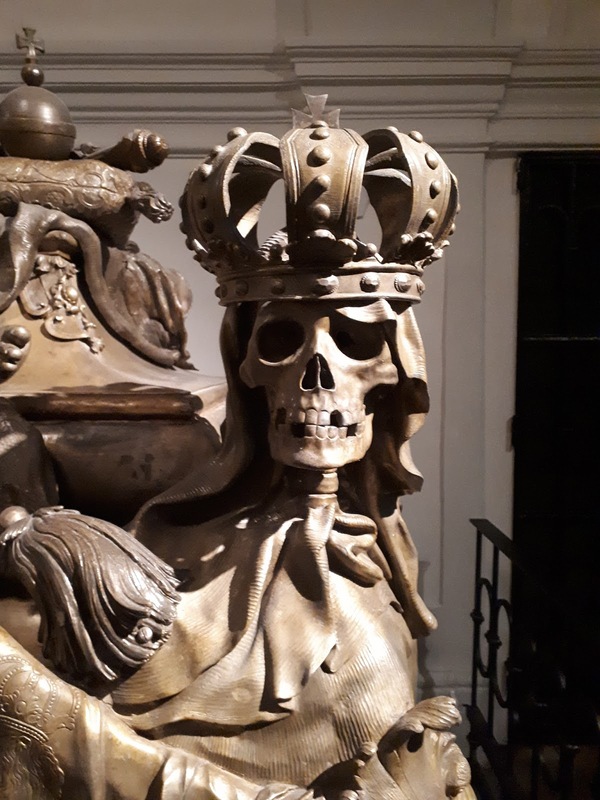 I'm off to Vienna for a few days on Sunday, and hadn't really felt excited about it, but I do now. It's amazing the difference a good nights sleep makes. It's also helpful that I've finally had a good look at a guide book. 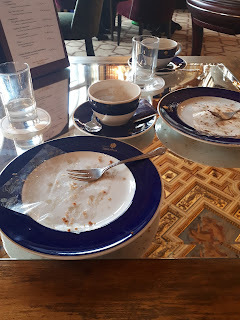 We're not there for very long so the list of things we 'must' see is short, but we're both agreed there will be a lot of exploring, coffee, and cake. 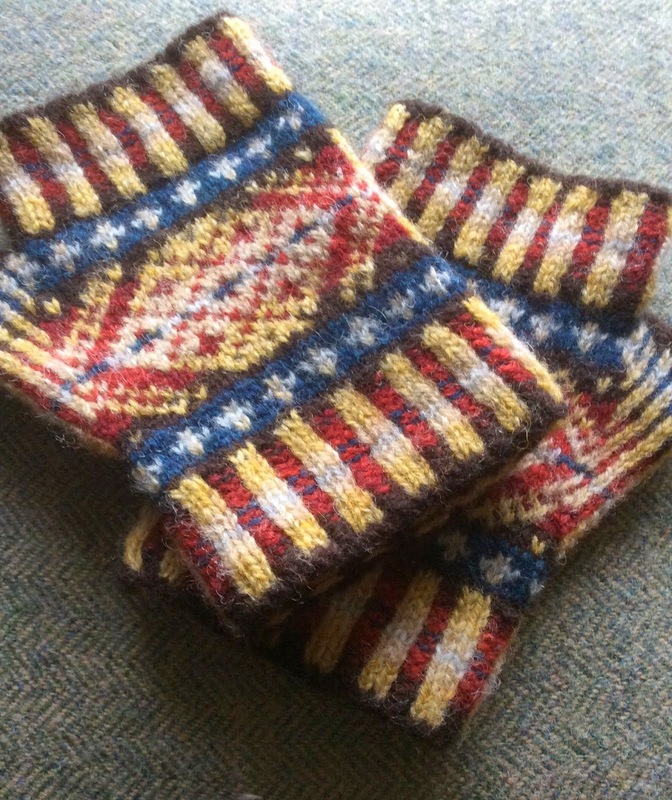 I've also managed to finish knitting a cowl - so that's 3 balls of wool gone from the stash - which I'm pleased with. It's Donna Smith's 'Brake Cowl' (the pattern is free on ravelry, is pleasingly simple, and didn't take long to knit) which uses a traditional 'horseshoe' lace pattern. 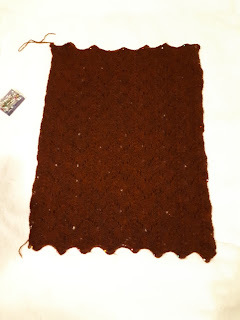 It's a lace I really like, so I'm looking forward to wearing it. As someone who has always loved books and reading one of life's great pleasures is being able to buy pretty much any book I want, and more or less as many books as I want. Space is a problem which keeps the spending under control, because whilst I'm quite comfortable with the idea that I have books I might never read (though I do intend to read all of them eventually), I also like to have space to move in, so some restraint is neccesary. It's exciting to always have an interesting choice of things to read as well, definitely something for every mood, but it also means there isn't much time to re read old books. Looking back the thing that defined my childhood reading was the seemingly endless time which I had to do it in, and the number of books I read and reread. This winter has given me two excellent opportunities to revisit old favourites (the release of The Scarlet Pimpernel from Oxford World's classics was the other one) and the Twitter read along of 'The Dark is Rising' from midwinters Eve to twelfth night. I didn't read the chapters on the days they were set; though there's something attractive about the idea of spreading the book out over real time I'm not disciplined enough for that kind of thing. 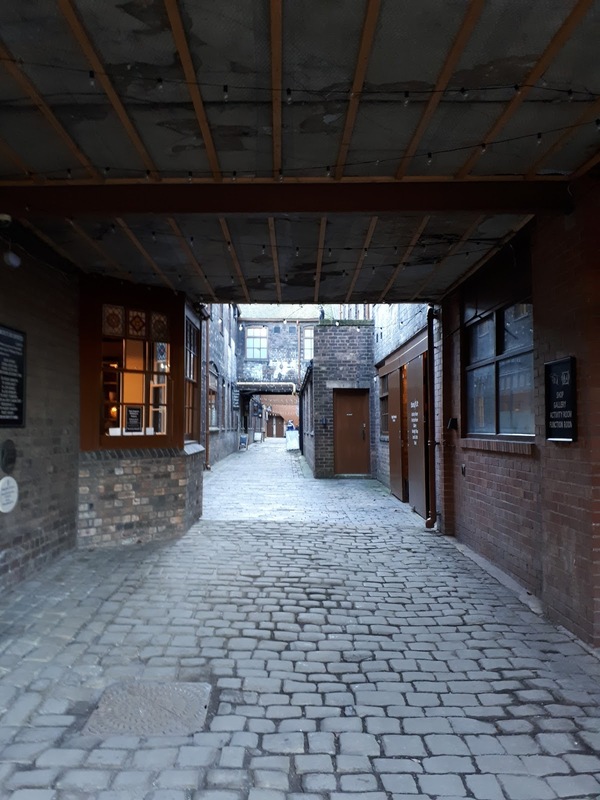 Even so, starting it at midwinter definitely added something to the atmosphere of the book, especially as the weather was obligingly cold and threatening. It was also more fun than I expected to follow some of the threads of conversation on Twitter. I'm not great at joining in with things like this (work gets in the way and I get distracted) but there were some great questions to think about. The one that intrigued me most was about the two mentions of bread and honey that Cooper makes. Why does she do that? I loved the whole Dark is Rising sequence when I first read them, fascinated by the Arthurian mythology and the way they were embedded in the landscapes of Cornwall, Wales, and the Thames Valley - all exotic locations from my point of view. 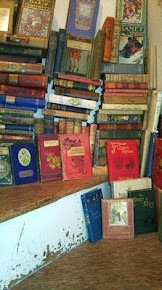 Some of the old magic has rubbed off, which I think is partly to do with the age of the book. The Dark is Rising is the same age as I am, so it was disconcerting when it felt particularly old fashioned, but I've given a copy to my godson and I look forward to hearing what he thinks of it. Meanwhile that bread and honey... It wasn't something I'd thought much about, or picked up on at all beyond a desire to eat bread and honey, before I read that question. I can think of a few reasons that Cooper might have had for it, but the one that appeals to me most is the way those flavours are a link across the centuries. Fresh bread and golden, sticky, honey. As much a treat now as it has been at any time for a thousand years or more, and something that you can share with the characters, eating along with them. Actually if you're reading 'The Dark is Rising' through midwinter there are other things you can eat and drink with it - mince pies, and punch come to mind, as do bacon and eggs. Mince pies and punch have a more evocative history, speaking more of ritual and tradition, than bacon and eggs do, but still. The emphasis on food like this (things that are both treats but also foods we take for granted) took on a particular resonance when I realised that Cooper must have grown up with rationing when fresh bread and mince pies, never mind plentiful bacon and eggs, couldn't be taken for granted. And that's what I sometimes forget about the pleasure of re reading; the new things you discover in familiar books and the unexpected paths they send you down. I might not have been reading much over the last week but I've been thinking a lot about knitting. 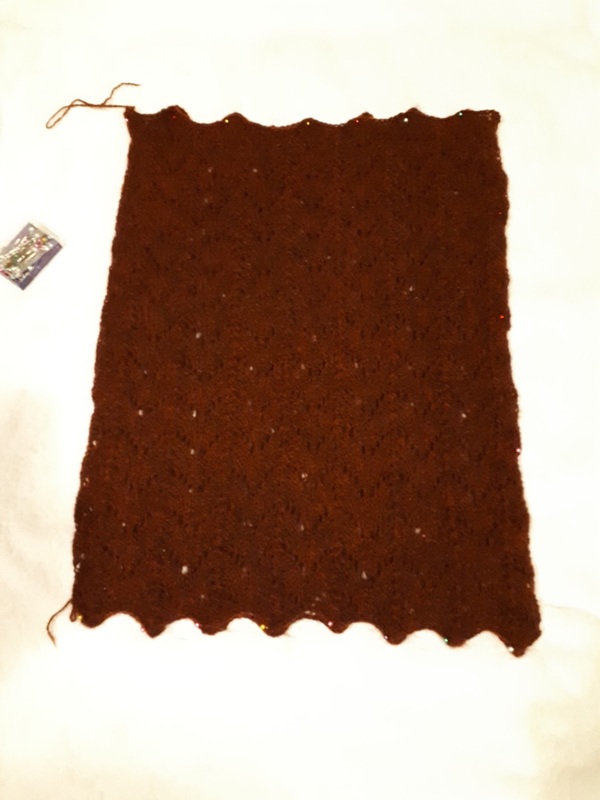 I'm neither a fast nor a particularly confident knitter, and building up the neccesary skills to tackle more ambitious projects with optimism takes time. All of which is fine, I love the process of making something, and I'll learn in time. Meanwhile there's a more pressing issue. This weekend seemed like a good time to sort out my yarn stash - which turned out to be... daunting. Fortunately D was here to help, but if I'd needed any confirmation about the epic proportions the pile of yarn was reaching - well, his expression was enough. The thing is I particularly love Shetland wool. I love the colours it comes in, which is what persuaded me to learn to knit in the first place - the yarn looked so good I really wanted to buy it, and then there had to be something to do with it. I really love its 'sticky' quality which stops dropped stitches from running uncontrollably down the knitting (not that I drop a lot of stitches) and the feel of it. (Some people find it scratchy, fortunately I am not one of them). I like its provenance and love the weather proof quality it has - it's surprisingly good at keeping out wind and rain. And because I only get one opportunity a year to buy it I go a bit overboard. That's not the biggest problem either, and I'm certainly doing my bit for the local economy there. What is a problem is that I'm buying it with no particular plan in mind so I have a tremendous range of colours but not quite enough of them to do anything much bigger than a hat with. Also, it had got to the point where I didn't quite know what I had, or where to find it, which isn't helpful either. 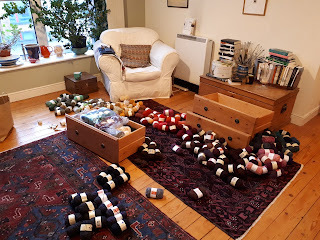 Happily it turned out that sorting yarn is a fun thing for a couple to do together (on a cold afternoon with a cup of tea in the offing). D sorted everything into a colour spectrum, I pulled out the different weights of yarn, and we filled drawers with colour families. Everything is beautifully tidy now - it's even more satisfying than sorting books, certainly less dusty, and I can find stuff again. To celebrate I've joined the Fair Isle Fishermans Kep Knitting group on Facebook, bought the kep pattern (£10, only available as a PDF from the Facebook page, money goes to supporting the local museum which is an excellent cause), and hope to join their kep-a-long. It's just started, and though I have things to do before I start they're giving 2 weeks to each section so there's lots of time to catch up. 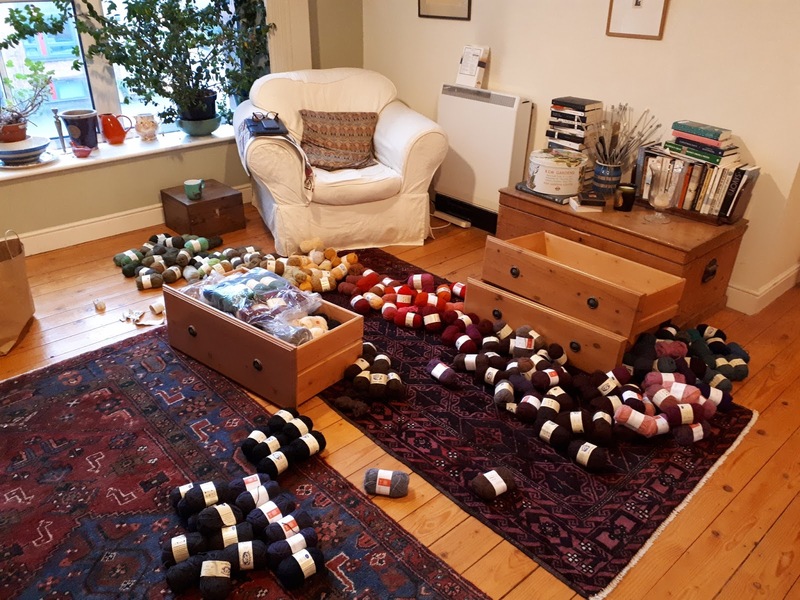 It looks like a friendly and supportive group, with plenty of other novice knitters in it, and an amazing array of people's keps to inspire you. This image is from the Facebook page, these are all fairly traditional colour combinations and patterns, but the options don't stop here. It's been a long, dull, exhausting, week of post Christmas clear up at work which has included a full audited stock count. Consequently I've not been reading much, or anything else really, but at least I'm out the other side now with exciting things to look forward to. One of those things should be to add more Maugham to my reading list. The little I've read in recent years I've really loved, and there's plenty more on the shelf. I didn't see the 2000 film adaptation of Up at the Villa, which sounds like it had an excellent cast but took unreasonable liberties with the plot. Mary Panton is a still young, and very attractive, widow. Her marriage wasn't altogether successful- her charming husband turned out to be an alcoholic gambler who lost all his money. Rich friends have lent Mary their Villa in the hills above Florence where she's contemplating her options. The obvious option is Edgar Swift. He's known and adored Mary virtually all her life, is considerably older, and looks set to be next Viceroy of India or somesuch. It's an attractive package - wealth, security, a job to do, and prestige, but it also means a loss of freedom. Meanwhile there's the entirely unreliable Rowley Flint, who has ex wives and a shady past with women, but is interested and amusing, and finally there's a very bad decision that Mary makes in the form of a young man she picks up by the side of the road. What she intends as a generous and romantic gesture in the form of a one night stand goes horribly wrong. The back blurb on my copy says that Mary "...comes to realise that to deny love, with all its passions and risks, is to deny life itself." I don't quite agree with that conclusion, not least because attraction is the key here rather than love. If Mary could have added attraction to the affection and respect she clearly has for Edgar Swift he'd probably have been her first husband, and she'd certainly have agreed to be his wife by the end of the first chapter. Rowley Flint threatens her peace of mind because of the mutual attraction between them - there's always the possibility that it could become love, but no guarantees. I'm not sure that Maugham is particularly interested in love here either, what makes this such a compelling novella to me are the moral and ethical dilemmas it raises rather than it's eventual conclusion - although I found that satisfying too. And I can't argue with the cover quote that declares Maugham 'One of the most underrated writers of the last century'. Reading more of him is definitely a New Years resolution. 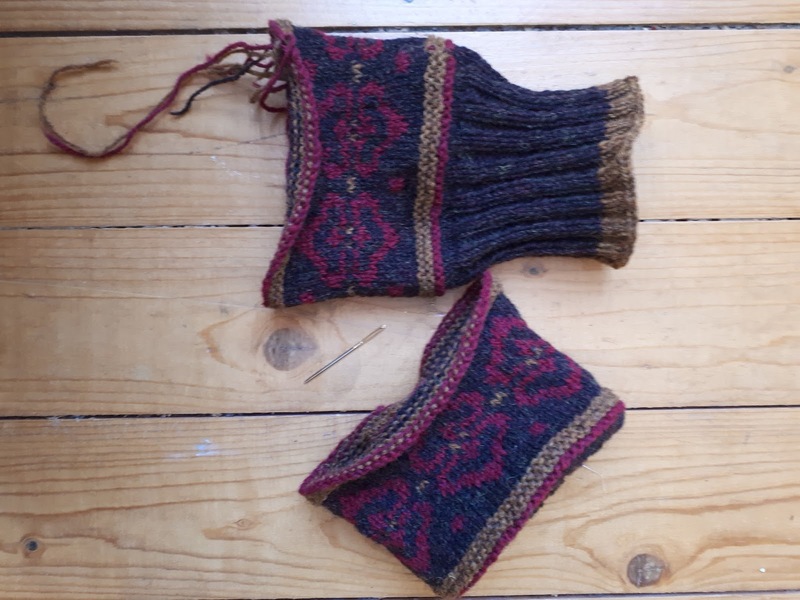 I've finished* my first knitting project of the year - a pair of boot toppers using the instructions from the book 'Shetlandic Knitting' which I don't seem to have written about here yet (why not?). I bought it back in the summer, taken with it because it's the response of 3 Dutch women (who run a yarn shop in the Netherlands called Trollenwol that focuses on Scandinavian Knitting) to their experiences of Shetland. Their initial visit was to meet their suppliers, but they were inspired enough to come back and develop a book of patterns. I'm always fascinated to see how other people respond to a place I know and love, and in this case it's a fruitful combination of Scandinavian techniques (including, but not exclusively, Shetland ones) with colours and motifs that reflect what they found in the Shetland landscape. The boot toppers were simple and quick to knit (I chose a motif I found elsewhere) and quite satisfying for exactly those reasons. Mum thinks she'd like a few pairs and I'm happy to oblige, but it's also at the back of my mind that I need to find some projects that stretch me a bit more, and add to the fairly rudimentary skills that I've learnt so far. I'm not quite sure what I should start on (I'd like to knit a jumper but there's quite a lot of me for it to go round which makes it a bigger project than I currently fancy). It might also be that I should find a knitting group to join, I keep reading about what a sociable activity it is, but whilst a few of my friends are knitters, none of them live nearby so this isn't my experience and I think I need someone a bit more advanced in the art to give me a push, and explain a few things. 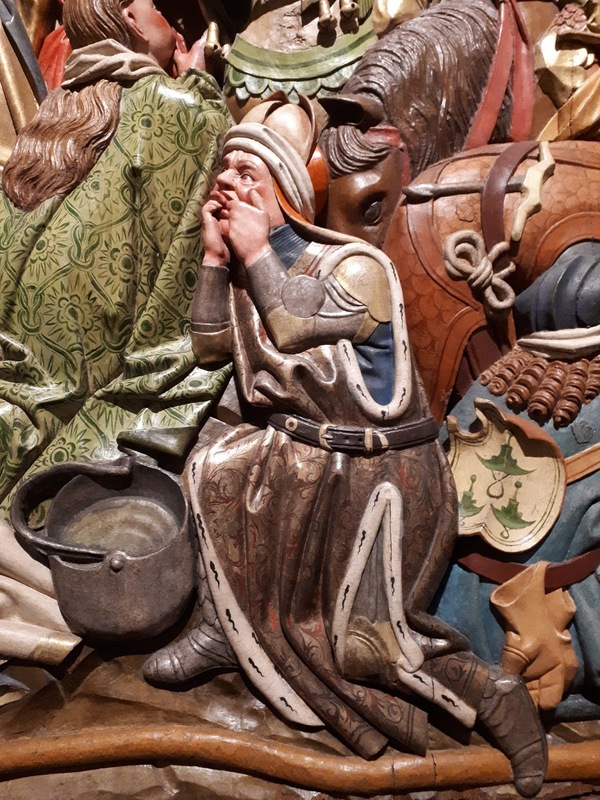 Meanwhile mum and I also made our annual trip to the potteries (I'm inclined to say Stoke-On-Trent, but am not sure if that's quite correct). 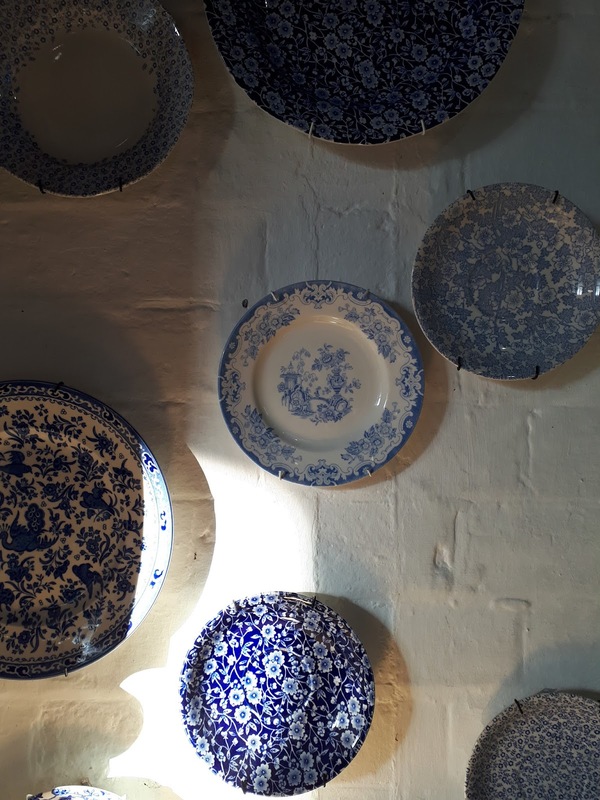 We visited Emma Bridgewater, which is clearly thriving but left us a bit disappointed. This is partly because the current range of patterns don't particularly inspire us, also because even for seconds in the sale some of the prices are eye wateringly high (£86 for a badly marked serving platter covered in lumps seems excessive). We didn't need anything, and there wasn't much in the impulse purchase range. 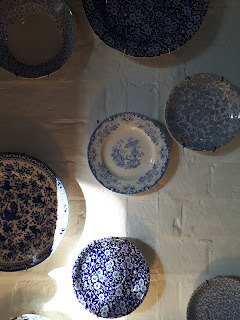 We miss the Spode factory which closed in 2008. 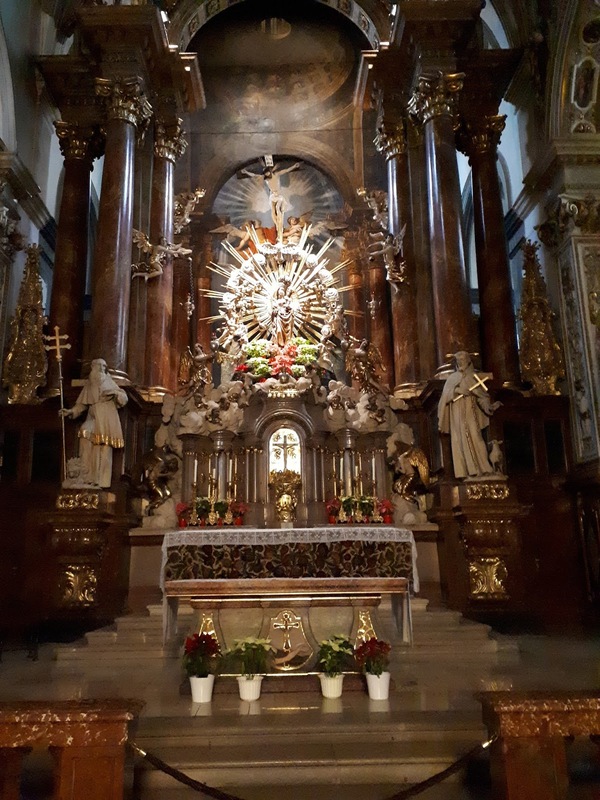 It was an amazing place with a maze of rooms that started with plates slathered in gold and ended in the white room which was full of things which hadn't made it past the first quality control level. Undecorated china which cost pence and despite imperfections was excellent. It's what I bought when I first moved into my flat and I rather wish I'd kept it because it seemed indestructible. Instead I committed myself to Burleigh's Asiatic Pheasant (mum was having a clear out, the chance for matching China seemed to good to pass up). 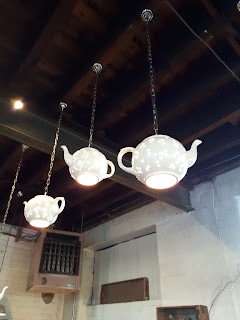 Now I love this pattern, I love the factory shop, and I love it's history. Which is probably why I've managed to break or stain more of these plates then any other I've ever owned. I lose track of what happens at the Middleport pottery where Burleigh has been based for well over 100 years, but every so often there seems to be news that it's been rescued again. It's looking good at the moment though, with a whole lot of little shops and studios producing all sorts of things on site. 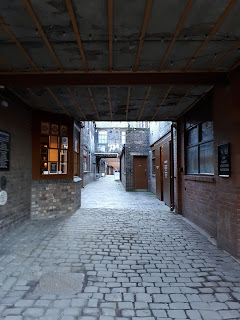 It's well worth visiting to see the place, support an excellent British manufacturer, and for me to replace my annual breakages (and maybe get some new things). Turns out 2017 was a really good year reading wise, certainly in terms of quality, there have been some excellent books - to the point that choosing which 10 of them seemed particularly worth shouting out about at the end of the year has been a proper challenge. After a bit of pondering though, and in no particular order, these are the ones that have really stood out in the last twelve months. Ambrose Heath's 'Good Drinks' has been a fairly constant companion this year, I have a handful of excellent vintage drinks books, but this one is my favourite. It's not necessarily the best of the bunch in terms of the breadth of drinks it talks about, but Heath is the most enjoyable author to read. That it was written for home use rather than with bartenders in mind is helpful too, and I like that almost half the book is dedicated to non alcoholic drinks. A book like this is a useful thing to have in a kitchen - and I can't recommend it highly enough. On the foood and drink theme there's also Kate Young's 'The Little Library Cookbook'. I love this book, not just for the recipes, but for the concept behind it. The recipes are good (the hot chocolate epic) but it's the way they're linked to books that I really like. It's a joyful way to think about books and food, giving both more personal meaning. The result feels fresh, inspiring, and above all fun - and who doesn't want that? Carol Dyhouse's 'Heartthrobs' is a book that shifted the way I think about how we treat women's desires, how they manifest themselves publicaly, and why we find them so threatening. 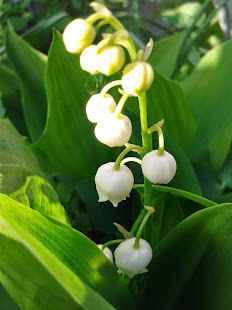 Romance as a genre is still looked down on, and along with plenty of other women I feel somewhat guilty about occasionally burying myself in a romance with few literary pretensions. Dyhouse hasn't lifted that guilt (it's not her job to either) but her book is fascinating and illuminating in equal measure. Mary Beard's 'Women and Power' is a book I'd like to press on everyone. The examples she draws from classical literature to show how women's voices have been silenced from the earliest records of our western civilisation had mostly passed me by (I could be much better read in the classics), but I am aware that those same texts have been an integral part of our educational system until really very recently, and those same attitudes filter through time and again. Even more interesting to me is her suggestion that if we want equality then we need to redefine what power looks like. Sharon Miller's 'Heirloom Knitting' is easily the book I was most delighted to find in my letterbox this year - I didn't know it was being reissued, and had given up hope of finding an affordable copy. It was a groundbreaking book about Shetland lace knitting when it was first published, and is now a classic. 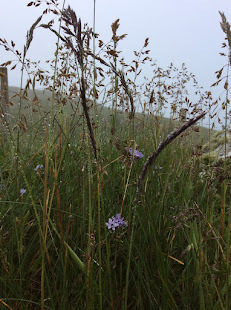 It's probably not that interesting if you don't knit/know Shetland but there's a lot of history here and it deals with an art form (and the best lace knitting is art) that hasn't always had the appreciation it deserves. Meike Ziervogel's 'The Photographer' would be the book that provoked the most personal reaction. It draws on the stories of Meike's grandparents, and their experiences during the war, including the mass movement from East to West Germany. It's only now that enough time has past that it feels possible to talk about what happened in the war from a German perspective. It's a book that really helped me find some perspective on my own family history; my grandmother was German, and wouldn't talk about her past at all. I know understand how common her attitude was. It's a powerfull novel that takes a familiar bit of history and shows it from a to me unfamiliar point of view. I think it's Ziervogel's best book yet by quite a way, and a truly remarkable achievement by any standard. I really hope it wins some serious awards. I'm late to the party with Nan Shepherd's 'The Living Mountain' but will add my voice to all the others that will tell you it's a magical, flawless, bit of writing that speaks deeply of the power of place. Seeing the Cairngorms through Shepherd's eyes is revelatory. It is a polished sparkling gem of a book. 'The Story of Classic Crime in 100 Books' by Martin Edwards is a sort of companion to the British Library Crime Classics Series, and more broadly a companion to the whole genre of golden age crime fiction. It's not exhaustive, but it's an absolute treasure trove. I'd also like to mention 'Taking Detective Stories Seriously' the collected reviews of Dorothy L. Sayers, also edited by Martin Edwards, and an absolute treat. You really need both books if you have even the most passingbof interests in the genre, and yes, you will end up with a very long wish list. The most anticipated title of my reading year was 'Silver Bullets', a collection of classic werewolf stories published by the British Library and selected by Eleanor Dobson. 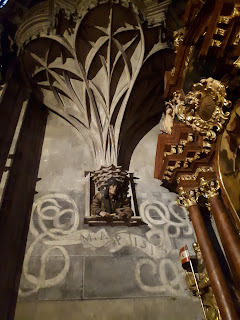 This is the latest in a small, but hopefully growing, series of supernatural stories from the BL. Dobson's choices are inspired, showing that the genre has much more to offer than might be expected, and some of the different things the device of lycanthropy has been used to explore. They're also really entertaining stories - it's just a brilliant book. And last, but not least, another British Library anthology, this time Tanya Kirk's 'The Haunted Library' it's another brilliant collection of Library and book related ghost stories, some more haunting than others (in that some are pleasantly chilling, and others are best not read just before you try and go to sleep next to a bookcase). It's also an interesting reflection on our relationship with books and how they effect the imagination. I've spent most of the day making marmalade, it stubbornly refused to set for a very long time (I hope it's done now, it was looking positive, but now it's in the jar it's still looking very liquid) which at least gave me time to gather my thoughts about 'The Scarlet Pimpernel'. The new edition from Oxford World's Classics officially comes out on the 11th, but I couldn't wait to read it, or write about it. I don't quite know why this book in particular so caught my imagination as a child, but it did. I read it over and over again, carried away by the mix of adventure, fashion, and history. I have re read it as an adult, but easily more than a decade ago, so however familiar the story, some of the details had become hazy - getting my hands on this copy was a real treat, not just for the chance to revisit the book, but to have an introduction to it. That introduction is excellent, I really didn't know anything about Baroness Orczy (I think I'd always rather assumed it was a pen name) but she sounds like a colourful personality, and this book made an unexpected fortune for her. It also sets the plot in the context of concerns about immigration both in the 1790's and in 1903 when it was written. Something else Nicholas Daly points out is how much of the book focuses on Marguerite, rather than the Pimpernel. Something adaptations have tended not to do, and which I had forgotten. There are aspects of the book that feel a little clunky now (the slang, the merry England bits, the tone of some of the more romantic episodes) and there are some plot holes (the league could be rather more discreet; given some of their actions it's amazing they've escaped capture for so long) but it doesn't really matter - the essential charm and power of the story is still there. 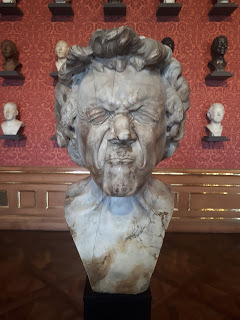 What surprised me was the ambivalence Orczy shows towards her french aristocrats, again and again there are examples of disagreeable pride, abuse of power, selfish thoughtlessness, obstinacy, and rudeness. 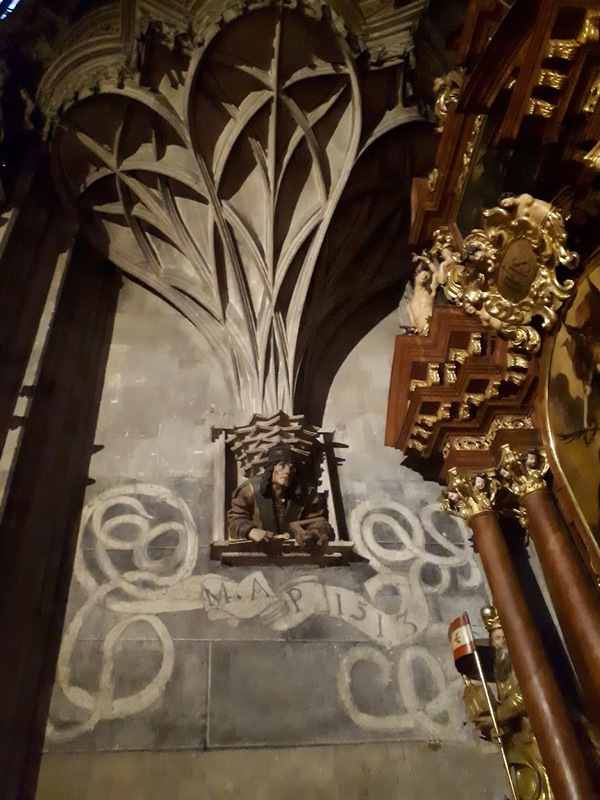 Orczy has even less sympathy for the fanatical revolutionaries she creates, and a deep rooted dislike of the mob, but it's a more complex picture than I had remembered. Her heroine, Marguerite, is a middle class girl with liberal tendencies who had earnt her own living as an actress before marrying her English husband. And that's the other thing, whilst it might be the daring exploits of the Pimpernel (mostly as played by Anthony Andrews) that I recall, the book is really about the impossible choices that Marguerite has to make, and how she sets about dealing with the consequences of her actions - which is much more interesting. 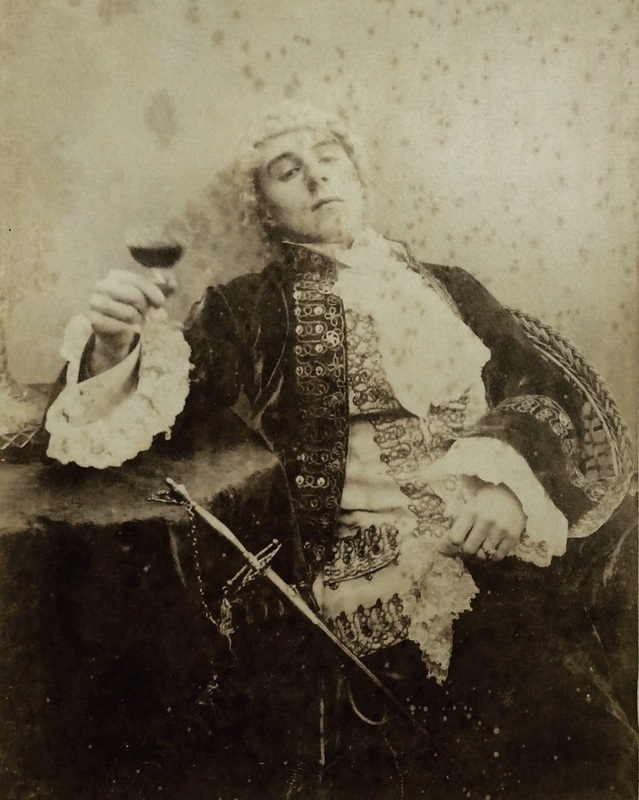 Something else that's interesting is the ending where the disguised Pimpernel deliberately lets himself be humiliated in a decidedly un-heroic way. It's the intelligent and pragmatic thing to do, but how often does that happen in tales of daring-do? And that's why the book has retained its magic for me. I can see it's faults now, but still, when I finished it I felt somewhat bereft, and tempted to turn straight back to page one, just as I did when I was 11. Orczy wrote several sequels, most of which I read back in the day (long enough ago that you still had a good chance of finding them in local libraries). None are anywhere near as good as 'The Scarlet Pimpernel', but 'The Scarlet Pimpernel' itself is worth a few hours of anyone's attention.